Yerba santa (Eriodictyon glutinosum) medicinal herb is a plant that is native to Oregon and California. The main parts used as herbal medicine are the leaves which are covered with shiny resin. It is also referred to as Hierba santa. These are Spanish words, which when translate in English is sacred herb or Holy herb. Many persons are unaware of such a plant but it has its place in herbal kingdom and it also contains lots of health benefits. The natives saw it as a sacred herb because it somehow brings out an inner peace and spirituality to those who use it, especially when suffering excruciating pain. 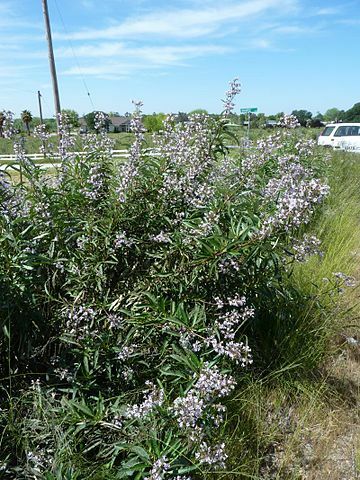 The common names are gum plant, Gum bush, Gum, Tar weed, Consumptive's weed, Mountain balm, Holy herb, Bear's weed, Holy weed, Hierba santa, Eriodictyon glutinosum, Eriodictyon, Sacred herb, Wigandia californicum and Eriodictyon californicum. It is from the Phacelia family. The medicinal properties are expectorant, aromatic, diuretic and tonic. The constituents are volatile oil, resin, glycerides of fatty acids, homoeriodictyol, chrysoeriol, eridonel, eriodictyol, zanthoeridol, phytosterol and glucose. The health benefits include using this medicinal herb as remedy for chronic bronchitis, asthma, colds, coughs, laryngitis as well as catarrhal lung ailments. It is really good for most respiratory conditions. It is also effective against rheumatism, muscle spasms, dry mouth, hemorrhoids, bladder ailments, fever and excessive discharges from the nose. The dry leaves may also be smoked to treat asthma. It can be used as poultice for ailments such as sprains, sores, arthritis, rheumatism, bruises as well as insect bites. It can also be used to increase urine, so it is therefore seen as a diuretic medicinal herb. The dried leaves soaked in alcohol can be used as a rubbing for joint pains. A syrup and an extract made from this medicinal herb may also be used to treat all the conditions mentioned in this article. It can be termed as a culinary herb because it is used as flavor in various dishes and beverages. This is truly a very versatile medicinal herb. Combine it with herbs such as grindelia, echinacea and also lobelia, it can be made into a tincture. Ten to twenty drops of this mixture may be placed in either water or juice for the various ailments listed above. This can be taken three times per day for the above ailments. Also, use yerba santa to prevent sickness and to recover quickly from certain various ailments.